The head of the North Texas Municipal Water District calls this "the most severe single-year drought in Texas history." 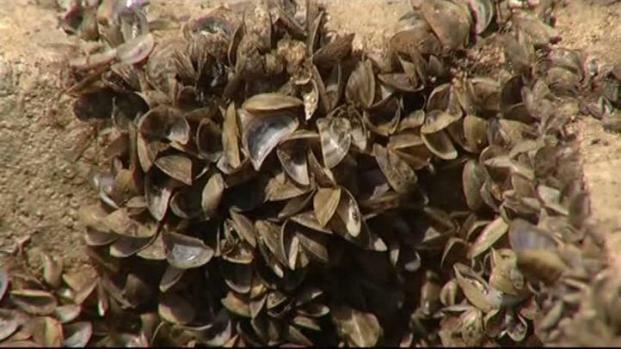 NTMWD Executive Directer Jim Parks also predicts more of the same for 2012 unless the water district can deal with a zebra mussel infestation at Lake Texoma. Much of North Texas is in the midst of Stage 3 water restrictions after a combination of lack of rain and inability to pump water from Lake Texoma. The water district has not been able to get a drop from Texoma since July 2009 because of worries that the zebra mussels could spread to the Trinity River Basin and potentially contaminate several sources of water. "I have an invasive species in Lake Texoma," Parks said. The mussels themselves are only about an inch big, but they create huge problems. They attach to pipes and filters and have been spreading from the Great Lakes since the late 1980s. And they show no signs of slowing down. Parks said the district plans to build a $275 million pipeline from Texoma to Lake Lavon to isolate the mussels and continue to pump water. In the meantime, the NTMWD has asked for a seasonal waiver to pump from Texoma between December and March, when water temperatures are cold and the mussels aren't spawning. The district also plans to purchase water from other districts. The bottom line is that zebra mussels appear to be in North Texas to stay, Parks said. Keeping them out of filtration systems and from spreading may be impossible. "It's going to increase the maintenance cost for a water provider," he said. "I think that's just a reality we're going to have to agree with and move on."